Master Recharge Services is one and only platform who provide you all sim recharge services in minimum investment and provide you maximum commission. Master Recharge is a new Technology B2B (business to business) recharge portal allows postpaid/prepaid/Utility service like Mobile/DTH/Datacard/Bill payment etc. Master Recharge Service also create MASTER DISTRIBUTOR,DISTRIBUTOR and RETAILER portal. We also provide our customer 24/7 support for best services. We also provide you whatsapp number for better communication. For our customer we believe in friendly business. Master Recharge Services provide you Master Distributor panel. compare other companies Master Recharge Services provide you Master distributor ID in lowest price with highest commission. After active you Master Distributor ID you can also create unlimited DISTRIBUTOR and RETAILER all over in india. you can also recharge customer directly using your MD panel. Master Recharge provide you Distributor ID with higher commission. After Distributor you can also create unlimited Retailer all over in india. Master Recharge in one and only who provide you 24/7 support for best and friendly business. With the help of Master Recharge Distributor Service you will be able to establish yourself as an owner of a unique and faultless provider of all in one recharge services. We are looking forward to make distributor for all over India. You can start as our distributor in Recharge Business with onetime small investment & this business will start giving you instant high return. Master Recharge Services provide you Mobile,DTH,Datacard Recharge with one sim all recharge. 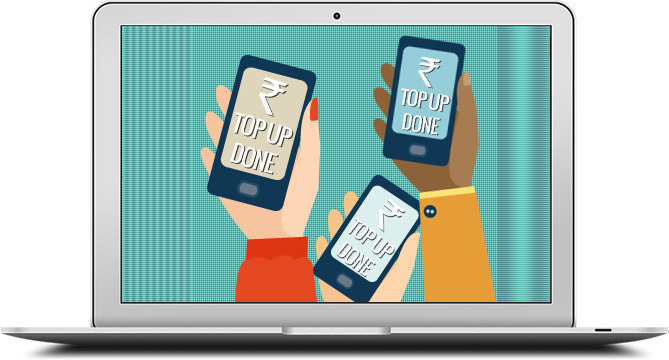 you can activate Retailer service your own mobile number than after recharge customer directly.Master Recharge provide you higher commission in lowest investment.Master Recharge provide you all the operator all over in india. we offer attractive margin slabs for all mobile operator,DTH operator and Datacard operator.Master Recharge in one and only who provide you commission on postpaid and landline bill payment. Master Recharge also provide you all types of bill payment including ELECTRICITY and GAS also. Retailer can also recharge customer using his desktop,android and sms service. Master Recharge provide you all sim recharge with single platform. we provide you Airtel, Idea, Vodafone, Tata Docomo, Tata Indicom, Uninor, BSNL, Reliance, Virgin, Videocon, Aircel, MTNL, MTS, Telenor and all operator in single sim. we also provide you Dish tv, Tata Sky, Airtel digital tv, Videocon d2h, Sun direct, Reliance digital tv in DTH recharges. Master Recharge provide you all Data Card recharges all over in india. In DTH recharge master recharge provide you MTS Mblaze, MTS Mbrowse, Reliance netconnect 1x, Reliance netconnect 3G, Reliance netconnect +, Tata photon Whiz, Tata photon + and many more.all special recharges and fast and secure recharge service. Master Recharge provide you all types of Postpaid, Landline, Electricity and Insurance premiun payment in all over in india. we are only the one who provide you all recharges and all types of bill payment in all over in india. we believe in safe and secure service. we also provide you friendly business support.